For over a decade, this line up produced one outcome and how that inevitability was arrived at decided the drama. Munster: former European kingpins, now treading on the edge of fading power status, Whiff of Cordite have accurately summed up the Last Days of the Liginds. Munster raged against the dying of the light in Toulon and proved they still had it down in Thomond when they captured the Magners. There’s a touch of the 90s Liverpool about them, as a great team breaks gets old together and breaks up. The Liginds had their roots in the club game and the supply line hasn’t updated effectively, there hasn’t been a young forward becoming a starter since Leamy. Munster’s tackling against Leinster was highly effective and they spent a lot of time lying on the wrong side of rucks and slowing the ball down. They may build their campaign around defence and line kicking but it seems that they don’t have the firepower to win outright, particularly because their difficult pool is unlikely to yield a home quarter. Northampton: beaten finalists last year, the Saints are an improving team that are seeking to make a step up into the majors. They could crudely be categorised as quality front three, quality back three and average in between but that overlooks Lawes and Wood. Artemiyev is a good signing and adds even more cutting edge to their attack. They finished top of a weak enough pool, dismantled Ulster’s lineout in clairvoyant fashion during the second half of a home quarter, played a homesick Perpignan in the semi before cleaving Leinster in the first half of the final. The rest is history. Heineken Cup experience counts for a lot in the competition and Northampton will travel to Thomond Park on the first weekend with respect but no fear. Castres lie third in the Top 14 and remain a bit of a Heineken Cup wildcard as they don’t have a great pedigree in Europe and there has been a tradition of French clubs focussing on domestic action ahead of the H Cup. Castres have to travel in the first round to Llanelli before hosting Munster the following weekend. Tuelet is a points machine at full back while Marc Andreu is a scorcher on the wing. Evans and Bai will provide cutting edge in the centres. Up front, Chris Masoe is the key man and the Kiwi openside is Castres heartbeat and their best player. Their front row is a combination of South Africans, French, Kiwis and Georgians while Mole’s One to Watch Joe Tekori might get more chance to shine in Europe than he did at the World Cup. Unlike the hairsprays, who seem like an uneasy amalgam of two clubs that don’t like each other (Neath and Swansea), Llanelli appear to carry the lilting lineage of Welsh rugby from a bygone era. Show the world what Stradey knows Phil, bach. Their Rabo form hasn’t been anything special and they’ll be looking to their young ‘uns returning from World Cup duty to shine in an unlikely bid for qualification. Llanelli will be difficult to beat in Parc y Scarlets and play an attractive ball handling brand of rugby. Their set pieces aren’t strong enough though and they’re not built for attritional road games. Look forward to seeing some inspired handling and lines of running in the matches they are involved in. Pool 1 is what the Heineken Cup is all about. One team on the way down, but not finished yet; one team on the way up, but still with a lot to prove; a heartland of France “l’espirit des cloches” wildcard; and a youthful embodiment of the Welsh Way. Points will be taken throughout the rounds and whoever wins this group probably won’t get a home quarter. 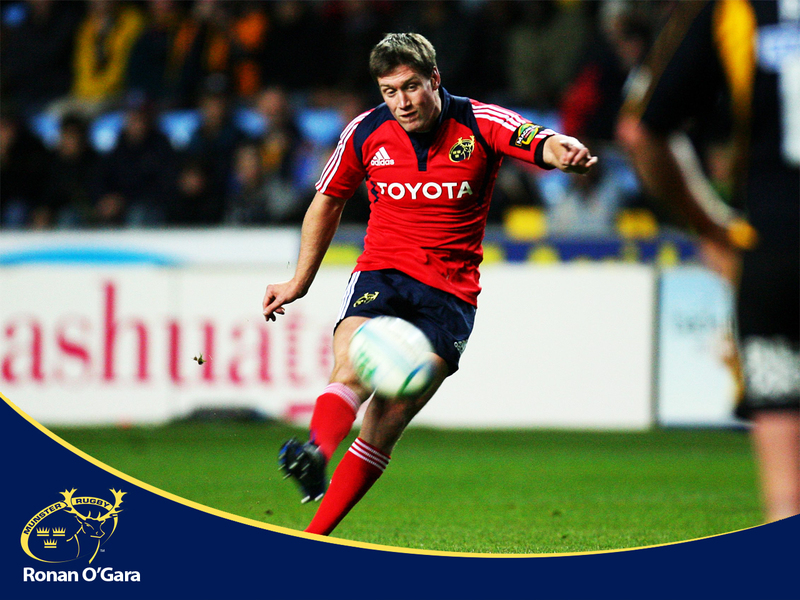 Munster’s pedigree and experience means that the Mole is backing them to come out on top. This entry was posted in Pools and tagged Castres, Liginds, Llanelli, Munster, Northampton by dementedmole. Bookmark the permalink.